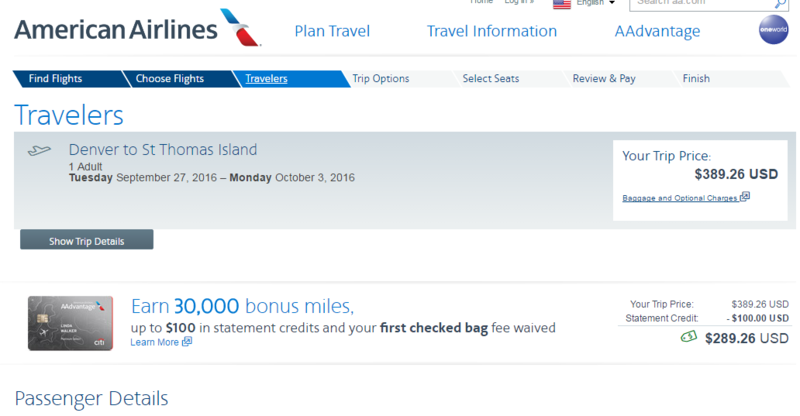 Save $300 on flights to St Thomas from Denver when flying American Airlines. 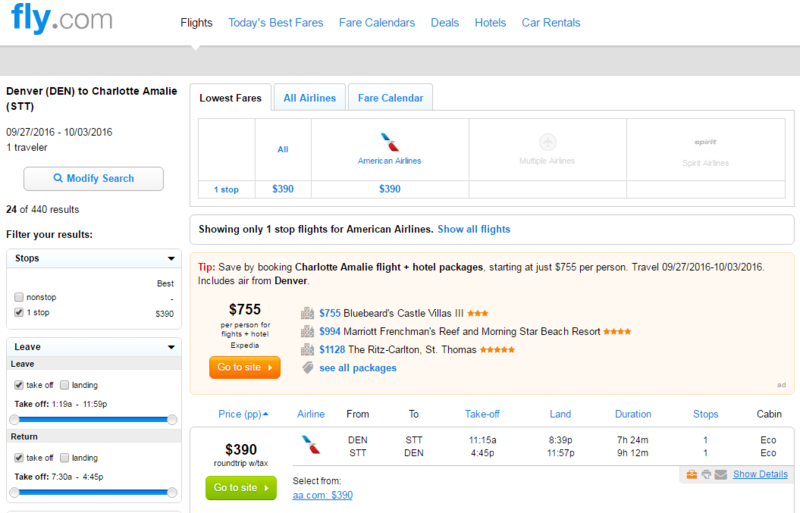 Book a flight to Charlotte Amalie for $390 roundtrip, including tax, for departures August-October. Note: A lower 2-stop fare of $388 may appear in calendars. 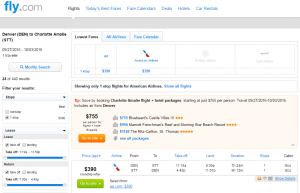 Many times the $390 fare, which includes 1 stop, is also available on those dates. 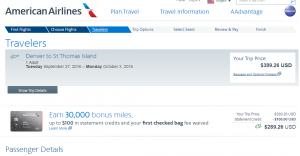 American Airlines charges $25 for the first checked bag. Check our baggage fee chart for more information.